Yes, that is a gentleman with flowers in his beard at the top of the post. Not only does Sam Ellison have flowers in his beard, they’re also in his blood; as the owner of a farm and three different floral-based companies, he basically spends his days growing and picking beautiful herbs and blooms, before turning them into breathtaking bouquets and the most a-ma-zing bath and body products. 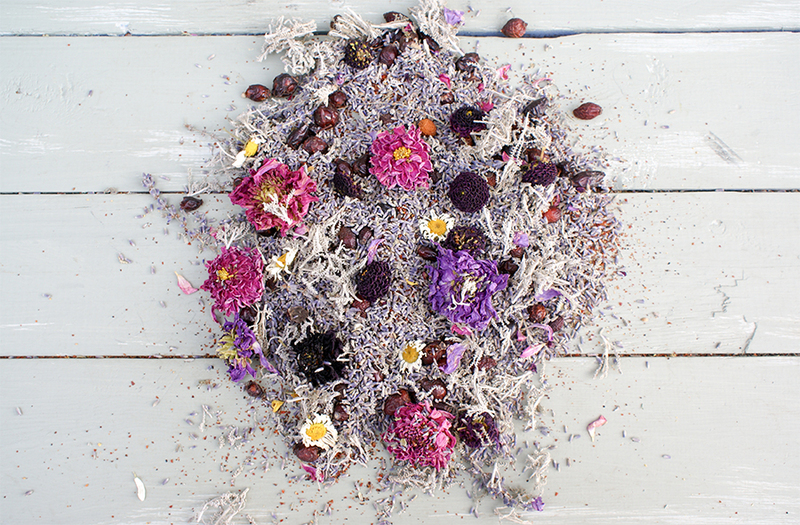 The Botanical Farmer was born as a sister company to the award winning Traditional Flower Company, and is an absolutely ingenious way of avoiding wastage; once the stems have been used in floral arrangements, the rest of the plant and petals are then turned into bath products, room botanicals, essential oils, candles and even throwing confetti for weddings. 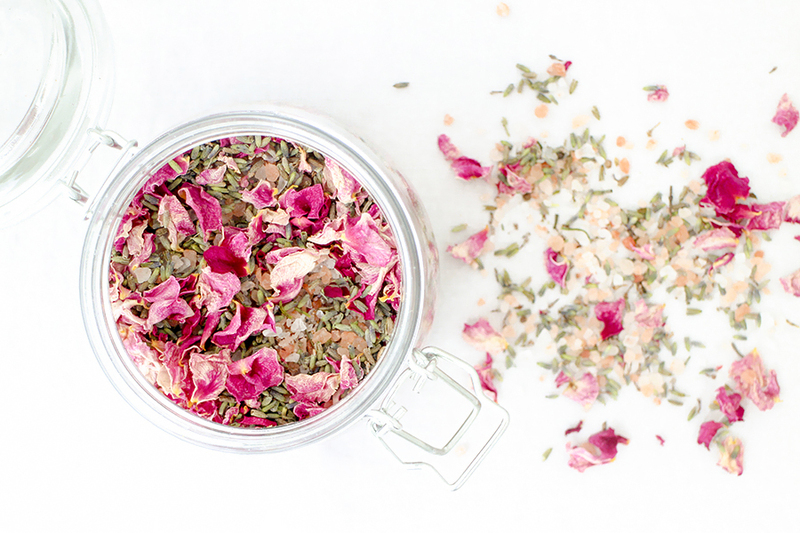 You guys know I love a zero waste product almost as much as I do organic bath and body goodies – so when the kind folks at The Botanical Farmer offered me a jar of their bath tea, I couldn’t reply quickly enough! Now, you all know that I’m a sucker for nice packaging; in the kitchen, in the bathroom, wherever – I’ve even been known to buy cereal because it looks good on the shelf. Ahem. I chose the Rose, Geranium and Lavender blend, which is number 8, and is designed to be calming (because we all know what a nervous nellie I am most of the time!) – and the packaging was a dream. It arrived in a beautiful miniature kilner-style jar, with a muslin bag folded carefully inside, and looked beautiful sat on my bathroom shelf (not that that’s what matters the most, but, you know, it’s up there 😉 ). As soon as I opened the lid, the smell filled the room; it wasn’t like sniffing a tub of something in Boots – I honestly felt like I was standing in the middle of a flower field, that’s how natural it was. Bathing in it was heavenly – there’s just no other words that work well enough. 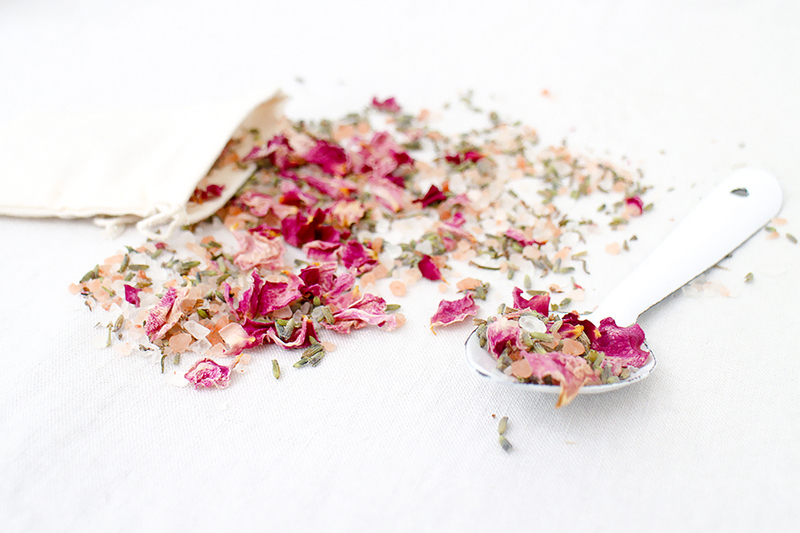 Not only does it have the rose petals, lavender grains and essential oils, it also contains a generous amount of Himalayan bath salts which act as a detoxifier and help to smooth your skin. Which can’t be a bad thing! 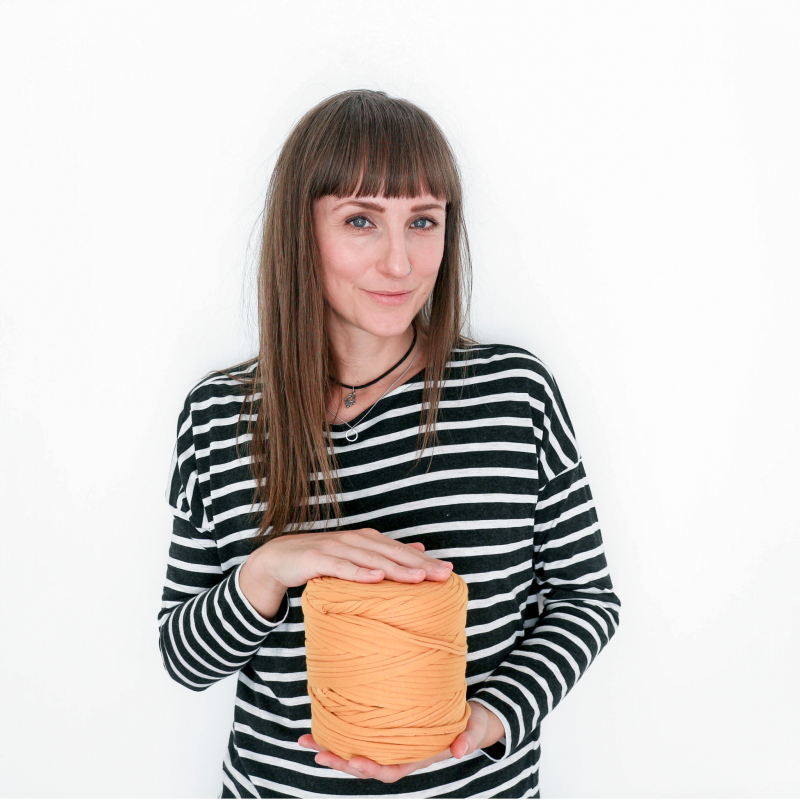 You don’t need a lot to fill the little bag either, so the size of the jar is really generous – a beautiful, handmade, organic bath product which is kind to the skin, planet AND the wallet? Thumbs up from me! I wasn’t paid to write this review, however I was gifted the bath tea – all words and thoughts are my own, and really, I couldn’t think of a single bad thing to say! Get involved!